We have been working hard behind the scenes to create more content, and have recently launched some listings for the Central Coast including Dog Boardking Kennels Central Coast. With the recent Google Mobile changes, we have been working hard in the background to launch the new Mobile site. We hope you like it. You can take a look at some of our newest categories on the site – including cooking lessons in Sydney! We are making a lot of ground for Cheap hair cuts australia wide which is great to see. It seems like this is a very common thing that people are search for on Google. Check it out here for cheap haircuts in Canberra. We recently added a few more listings to keep our content up to date. I had a friend recently tell me that I product like compare direct would have really helped when thy were trying to find Sydney Cooking lessons. It became apparent to her that it was very challenging to find the places and prices. I have since attempted this and also found it be very challenging through out Australia which is why I have decided to include cooking lessons on our site. We hope this can help point you in the right direction. A friend of mine recently had a lot of trouble finding a few different places in Melbourne that offered cooking lessons. It seems that compare direct might be able to help here, we have now added Cooking Lessons Melbourne. Just letting you know about our newest category. We have now listed 10 new Dog Kennels in Sydney at our Dog Kennels Sydney Page here. Please let us know if you’d like to be added to this category. Cheap Hair Cuts Adelaide section is now starting to be built. Hi there, we have no added a few more categories including Horse Riding Melbourne. Horse riding is something that is spread right across Victoria and can often be a large travel time to commute to. We hope our mapping system give you the best way to see all of the horse riding places in Victoria. So I’ve always wanted a quick way of displaying the cheapest hair cuts in Melbourne. A simple price and a location is all we need to make a good decision and hair cuts are getting more and more expensive. Most of the time I just need a simple mens cut, nothing fancy! 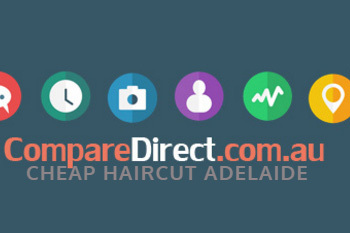 We have now added Cheap Haircuts Melbourne to our results! We are happy to announce the new blog for Compare Direct. We will use this to continue to bring new product updates that we compare. Currently we have some very successful categories like Dog Kennels Melbourne and Horse Riding Sydney. If you have any suggestions please let us know!